Signed, sealed and delivered to it’s new home in Moncton, New Brunswick. This was an awesome piece to work on. and were looking for something in a similar abstracted, splash style to compliment it for their music/stereo room. I knew the “she” out of the couple liked teal so I included that in my color choices and went for a 80’s galaxy rock type of feel. These mail really easily and come in two pieces if anyone else is interested in commissioning one I have them on sale until the end of August. They make awesome statement wall pieces, great for music/art lovers. 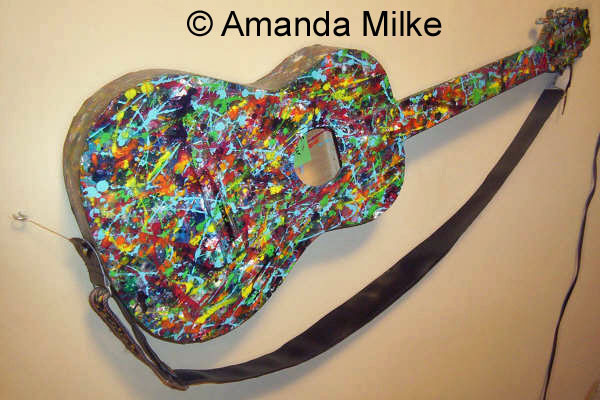 This entry was posted in 2013 Artwork, Abstract, acrylic, commission, Etsy Shop, For Sale, Musical Instruments and tagged Abstract, abstract fender, abstract guitar, Art, art & music, Art display, colour of music, custom electric guitar, custom fender, display guitar, fender guitar, guitar commission, music, painted fender on July 26, 2013 by Amanda. It’s been awhile since I’ve posted a video with one of my paintings. This entry was posted in Abstract, acrylic, Art, Artist, Life, Paintings, photos, Uncategorized and tagged Alanis morissette, Art, blue, depressed, music, rejected, That I would be good on August 22, 2008 by Amanda. to start with a softer song and decreased my volume. That way, I can hopefully stop giving out free heart attacks with each art viewing. This entry was posted in Uncategorized and tagged 9 weeks, music, note, sonific, update, volume on January 29, 2008 by Amanda. This is a piece I did back in 2005. 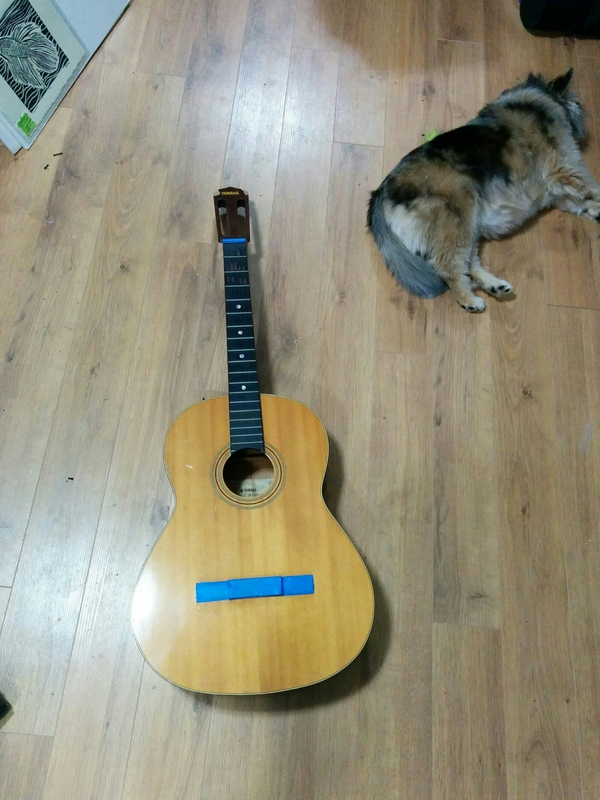 It’s an old guitar I got as a Christmas present one year when I was feeling especially ambitious. I thought it would be a good idea to discover my hidden musical talents. However, once I realized I couldn’t just pick it up and play I decided musical talents were overrated. This entry was posted in Abstract, acrylic, Art, commission, female artist, For Sale, Musical Instruments, photos, Uncategorized and tagged 2005, abstract guitare, acoustic, acrylic paint, Amanda Milke, Christmas, colorful, colour of music, Creative People, guitar, music, paint, splatters on November 14, 2007 by Amanda. I’m not quite sure what “it” is, but I’m sure I’m finished because I’m tired and want to go to bed. You know how they liken the art an artist makes to a child, like you just gave birth to a piece. We’ll see how I feel in the morning. Anyway, Goodnight and enjoy the video. 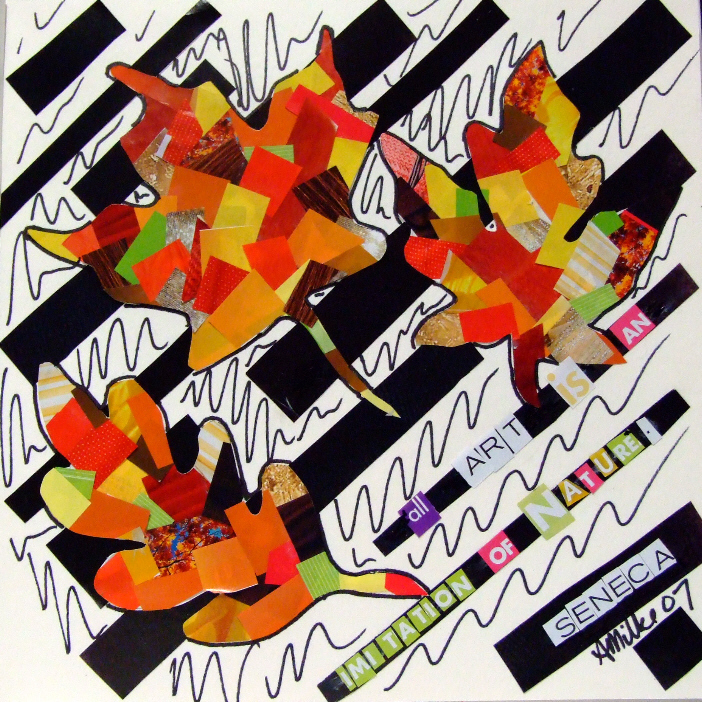 This entry was posted in Abstract, Uncategorized and tagged Abstract, autumn leaves, collage, Creative People, leaves, music, nat king cole, nature, seneca, video on October 23, 2007 by Amanda.